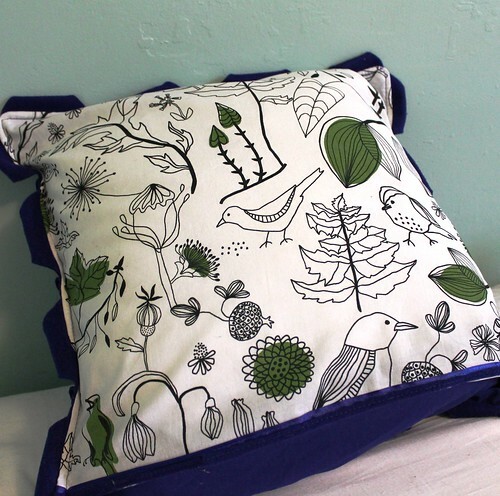 I saw a pillow on West Elm and decided I needed to copy it. 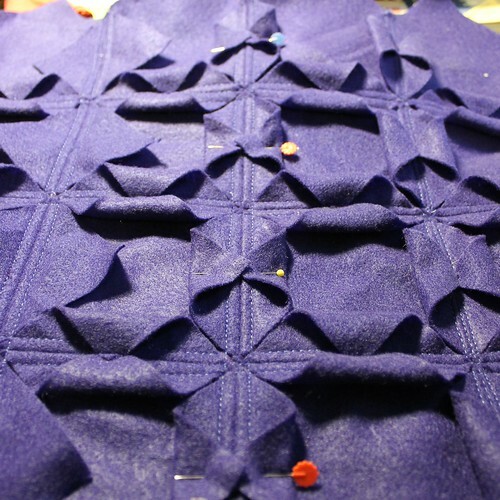 This uses a fun cobalt polyester felt which I had bought for another project, oh, eons ago. De-stash! 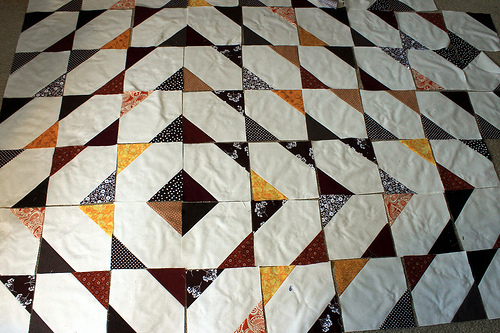 I used 6 inch squares which yields a finished block of 4×4″. 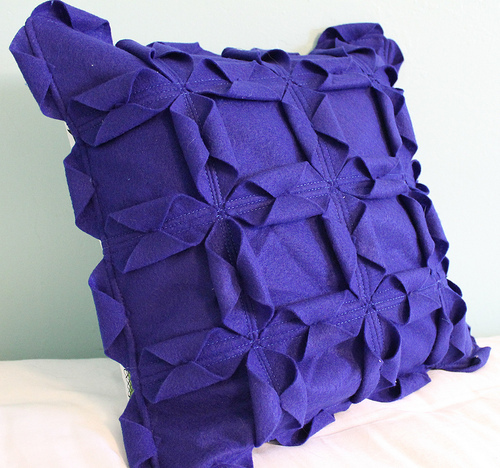 I made 16 squares and got a 16″ loose pillow form – or a stuffed look 18×18 pillow form. I used felt so that I didn’t have to worry about frayed edges and for the extra stiffness to make the ‘origami’ stand up better. Mark the middle (i.e. 3″ in on a 6″ block) of two sides of a block. Draw a diagonal line to connect those points. 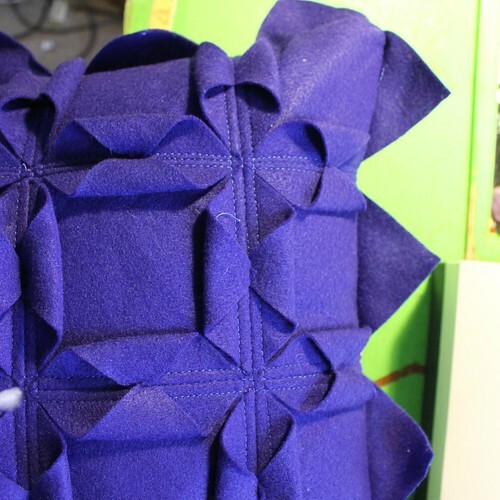 Stack two blocks and sew them together along the diagonal you have drawn. 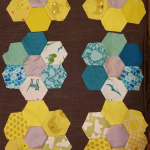 Sew all blocks into pairs. Lay the block flat. 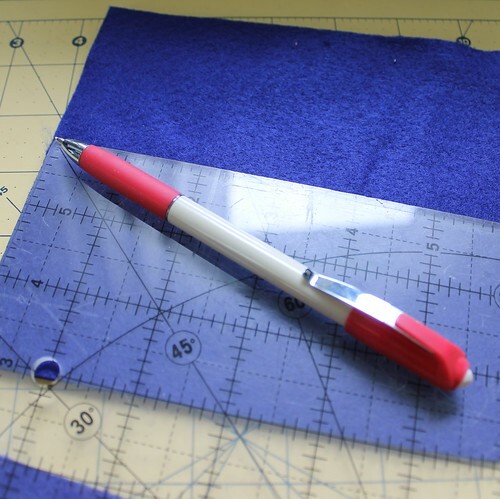 Mark a diagonal line across your block, lining up seams with the middle outside edges of your block. Sew along this line. Continue using this method to join all 16 blocks. 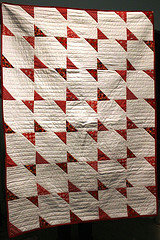 Once your 16 blocks are joined, sew parallel lines down each side of each seam – I used a quarter inch distance from the center seam. 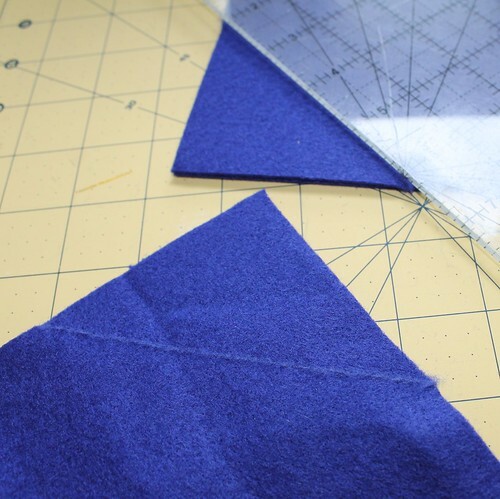 When you have sewn your parallel lines along each seam, begin making your ‘origami’ points. Fold in one corner to meet the opposite parallel line. Fold in the next corner on top of that. 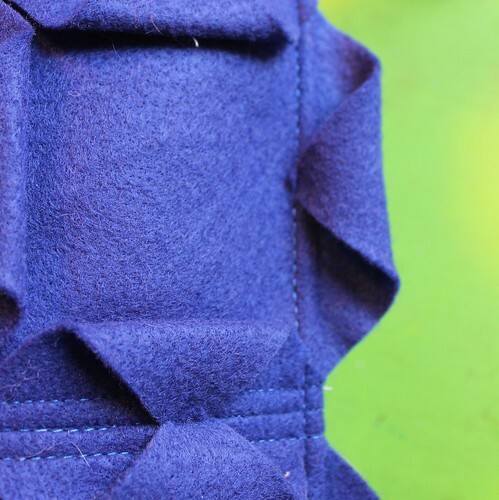 You can pin the corners in place or just fold as you go. 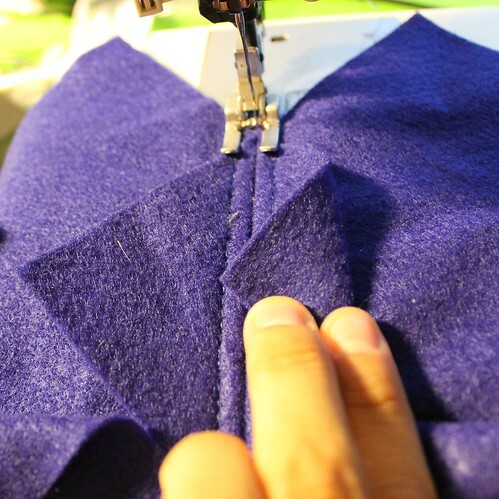 Sew down the line, being sure to use a very short stitch over your points to ensure they are secure. 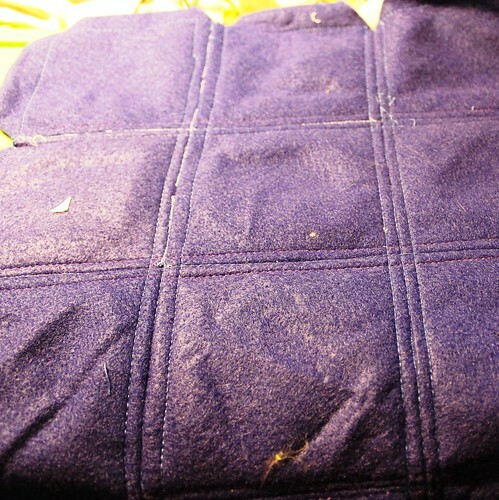 When you’re done, the back will look like this – but hopefully with less lint! 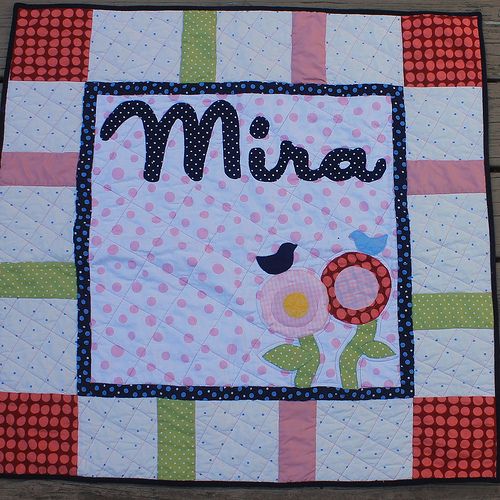 The front will look like this – with tabs hanging over the edge. 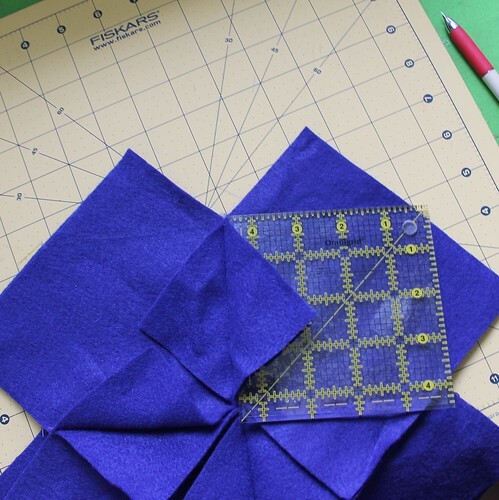 You can cut these off or fold them under to incorporate them into the final pillow design. To have your tabs show on the outside of your pillow, fold each tab in towards the front of the pillow and pin them down, creating a straight line edge (alternately, cut the tabs off to create a straight edge to the pillow). Attach the back of the pillow using your preferred method. 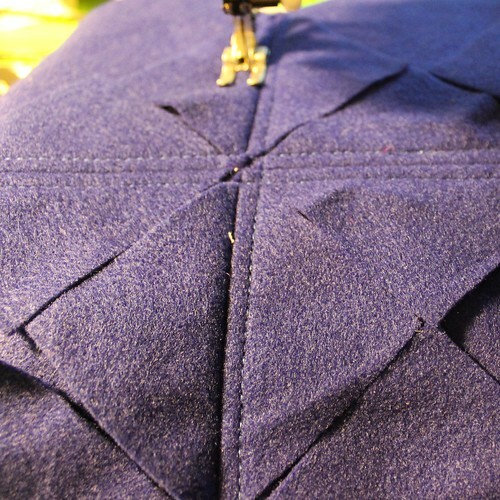 When you turn the pillow right side out and remove the pins, the tabs should be sticking out, as shown above. 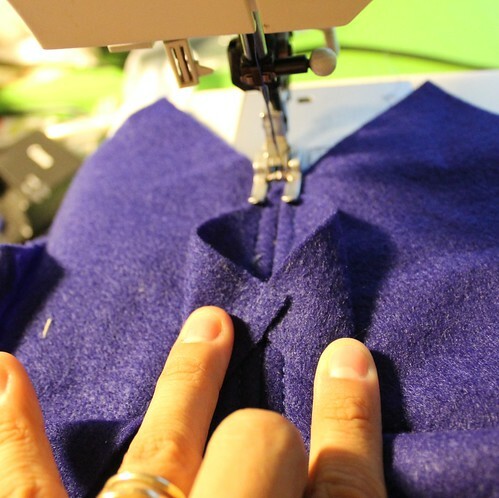 Sew a quarter inch around the pillow, folding in the tabs and catching the tips under your seam. Amazing pillow! Thanks for sharing the tutorial. I’m pinning this one for sure.